Todd Fritz Roofing - "Committed to Quality"
Why Choose Todd Fritz Roofing? Todd Fritz Roofing is a Master Elite Certified roofer with GAF. 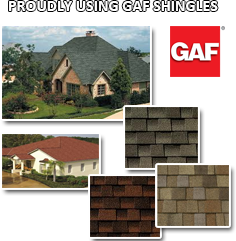 Todd Fritz Roofing stands behind GAF roofing products, you can count on consistency and the highest quality the industry has to offer. Todd Fritz Roofing makes sure to use the best materials to protect your biggest asset - your home.